Big Band DVD Audio - 45:21 Min. Boogie DVD Audio - 58:29 Min. 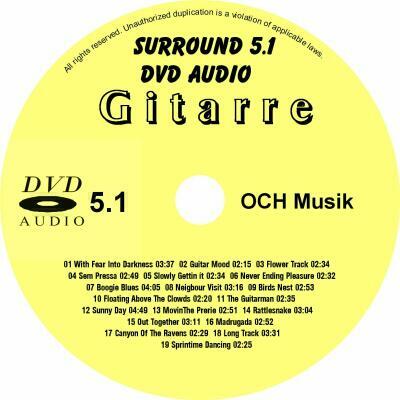 Country Rock DVD Audio Nr. 1 - 66:42 Min. Czech Country - 15:40 Min. Dance Techno DVD Audio - 62:08 Min. Dancefloor, Soul/House, Acid, Rave, div. 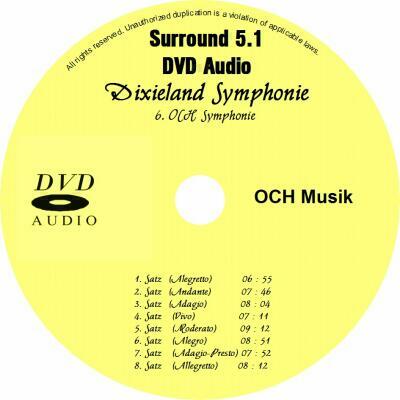 Dixieland DVD Audio - 63:26 Min. Fuge DVD Audio - 69:08 Min. Fuge in Klassik, Jazz, Pop. Meditation DVD Audio - 64:02 Min. 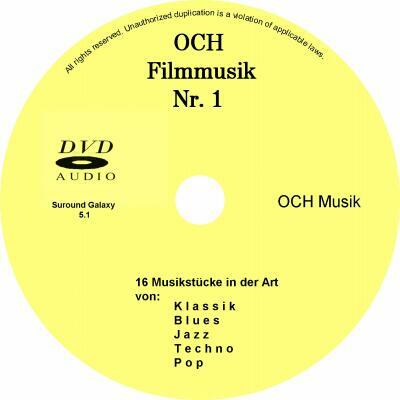 OCH 2002 DVD Audio - 61:08 Min.